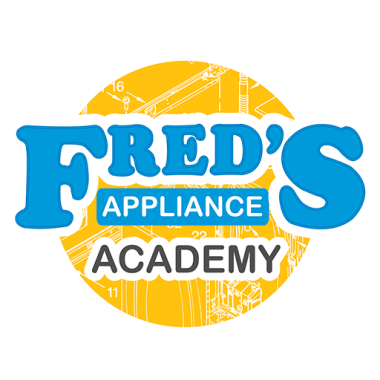 Tim has been with Fred’s Appliance as a service technician since 2004 and is now the Academy’s training instructor since mid to late 2015. When not teaching, Tim still completes calls on the road and helps out our other technicians on problem calls. 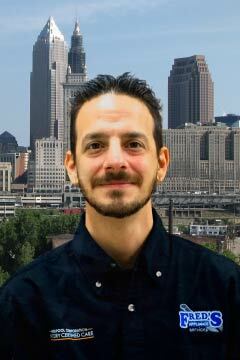 Tim is currently working towards his Nastec Advanced refrigeration and Nastec teaching certifications. Arrived on time and well prepared for the job. Very thorough. Problem solved. In and out less than an hour! Cost is n/a, appliance is under warranty. Tim was very helpful and informative. He explained everything for me and was professional and courteous throughout the visit. Very knowledgeable technician. Thank you for your efficient fix! When Tim lit the burners they were all about fifty percent yellow flames. He said there was no way to adjust these new stoves for that, there was probably too much air in the line and that eventually it would burn off. Well a yellow flame is from too little oxygen in the line.And I am told the flames can be adjusted. After he left I noticed a strong gas odor. I put soap bubbles on the hose connection and found a break in the line between the flex hose and it's brass connection.The hose was bad. I put a call into Tim and he called me back a few hours later. I placed the call within five minutes after he left.When he did call me back I told him of the leak. He said " Yea I was going to call you later today because I smelled the gas and I was afraid there might be a leak. How would you rate his service? I went to Home Depot and got a replacement hose and a friend replaced it for me. I still haven't fixed the yellow flame, but I know I won't have Fred's Appliance back to do it. I'll call someone who knows what they are doing.I will take the time to share this experience with the sites requested. Jessica was very good with her phone demeanour. She was pleasant, helpful, and clear about your service.